I hope you’ve had a great week! As some of you might know,I am considering either eating less meat or completely replacing meat with fish/seafood. This is mostly a matter of focusing more on healthy food choices.Of course whenever I go back home,I will eat our native raised Sierra Leonean fowl,fondly known as “kontri fol”,because it is really tasty and that is the only meat I truly crave ,but I’ve always LOVED seafood and I’ve always eaten mostly fish all my life,so THAT I can’t give up.Plus seafood is waaaay healthier,you just have to watch the mercury,and avoid the types of fish that contain a lot of it.Beef,Chicken and Pork,I’ve always survived mostly without and I don’t think I’ll suffer greatly from their absence. In reality though,there is the huge obstacle that I don’t cook for myself-I live off my college’s cafeterias, so it’s kind of hard to buy and cook fish and seafood the way I’d want to.That being said,I am really looking forward to whenever I can cook on my own and I’m already thinking of recipes from back home (“home” in this case,meaning West Africa),that I can try.Feast your eyes! 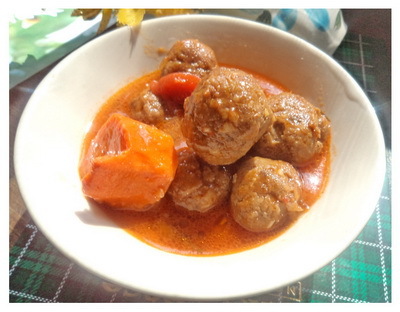 1.Fish Ball Stew: This dish brings back fond memories of my time in The Gambia as a child when we called it “Bonga Burger”. “Bonga” fish is one of the cheapest types of fish in the market,and it is usually dried or smoked.You can use Bonga,or Tilapia,or really any type of fish to make fish balls and create a delicious stew. 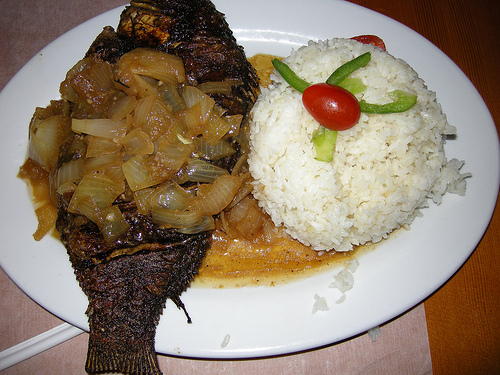 2.Fish Yassa: This dish is more common in Francophone countries such as Senegal and Cote d’Ivoire,and its mostly Fish fried in spices with Onions. I also think its very easy to prepare and it’s not time-consuming at all. 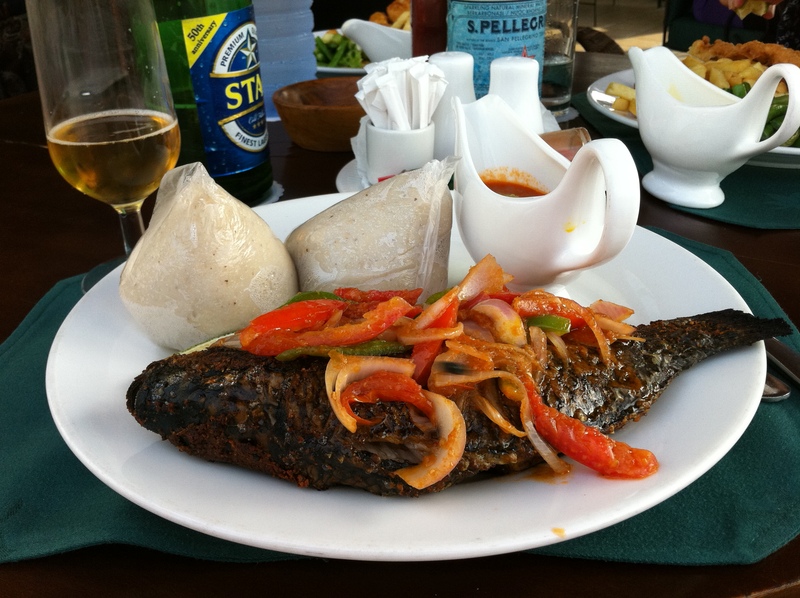 3.Banku and Tilapia: One of my all time favorites! I fell in love with this dish in Ghana,and apart from being absolutely delicious-it is also very nutritious.Vegetables are always served on the side,with the peppery dried shrimp sauce,”shitor“. 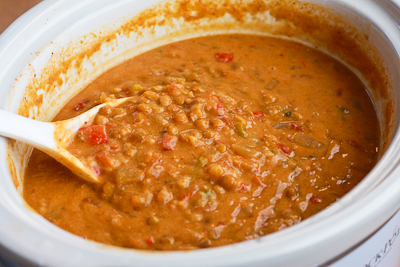 4.Groundnut soup:I can survive on eating just Groundnut soup for a whole week.I just love the diverse ways of cooking it-with fish,crabs,shrimp,chicken,pork,beef,chicken,potatoes,beans,you can create your very own groundnut soup anyway you want it!If you love peanut butter-this is for you. 5. 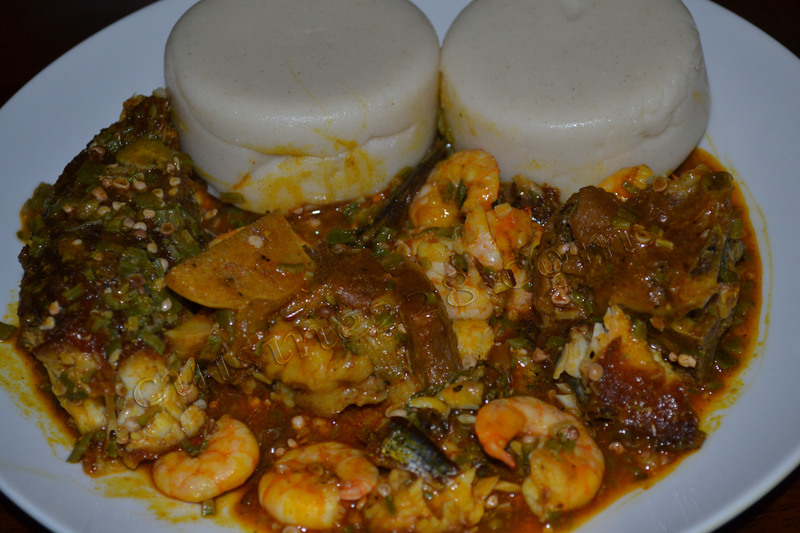 Okra soup and Fufu: O Satide fufu!Okra soup goes really well with any type of fish or seafood-crabs,shrimp,catfish,dried/smoked fish. I love it! Now I’m so hungry:/. but yay!I’m happy that there are so many recipes from back home that both appeal to my taste buds and will help me on my path to a Pescetarian diet. Next Post Solitude: Saturday Night musings. I cannot get enough of your blog! Super excited. Just starting mine and its about our foods. So this post was just soothing to my soul. Where are the recipes to the above meals? did you end up cooking them? Hi! I ended up cooking some.I’m so happy you love my blog-send me the link.